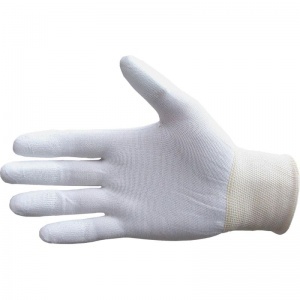 The Finger Tip Handling Gloves PCN-FTIP are machine knitted with a seamless construction of 100% nylon, providing great levels of comfort and durability. 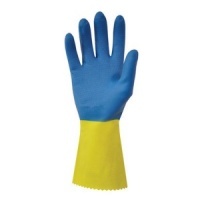 The Finger Tip Handling Gloves PCN-FTIP also feature a tough polyurethane coating on the fingertips, providing you with extra grip. All of this means the PCN- FT Finger Tip Handling Gloves provide outstanding dexterity, versatility and comfort. 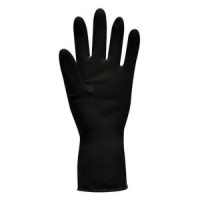 The product code for these gloves is PCN-FTIP. 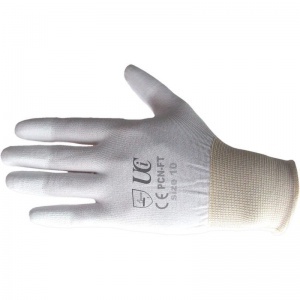 Designed to give you slight protection against certain threats, the Finger Tip Handling Gloves PCN-FTIP are best used in low-risk environments. Please refer to the table below for more information regarding physical resistance. 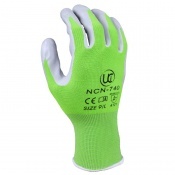 The PCN- FT Finger Tip Handling Gloves have been sized according to EN 420, which governs a range of features about gloves including standardised sizing. Please measure the circumference and length of your hand and see below for the size of glove that is necessary. Four sizes are available.